In Wuppertal, a city of 350,000 people in North-Rhine Westphalia, east of Düsseldorf, Signature Capital invested in a town centre redevelopment that will change the city forever. Next to the main train station, linking it with the city’s top pedestrianised shopping street via a new footbridge, Signature Capital developed an award winning retail offering with approximately 9,500 sqm let to PRIMARK and 2,300 sqm let to a number of individual shops ranging in size from 60-600 sqm arranged around a newly formed Plaza. 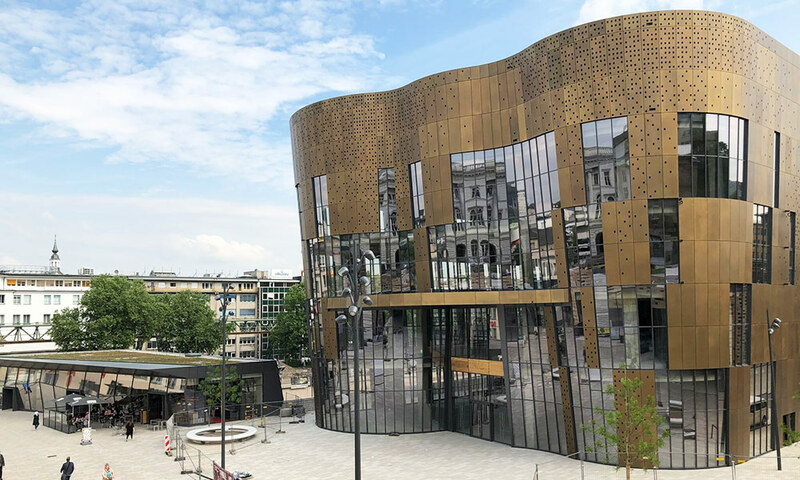 The development simultaneously saw city and federal authorities invest more than €140 million in rail and road infrastructure and surrounding buildings to produce a new transport hub for Wuppertal’s newest high street offering. The Chapman Tylor design and the mix of such tenants as PRIMARK, dm drugstore, Tally Weijl and Vorwerk will offer consumers a new area in which to spend quality time in attractive surroundings that provide parking, transport links and a shopping experience that has never been seen in Wuppertal before. Building works by the local authority and Signature Capitals are now complete and handover to tenants began to take place in the first half of 2018, allowing retailers to open their doors to customers last summer. PRIMARK will open its store in April 2019.